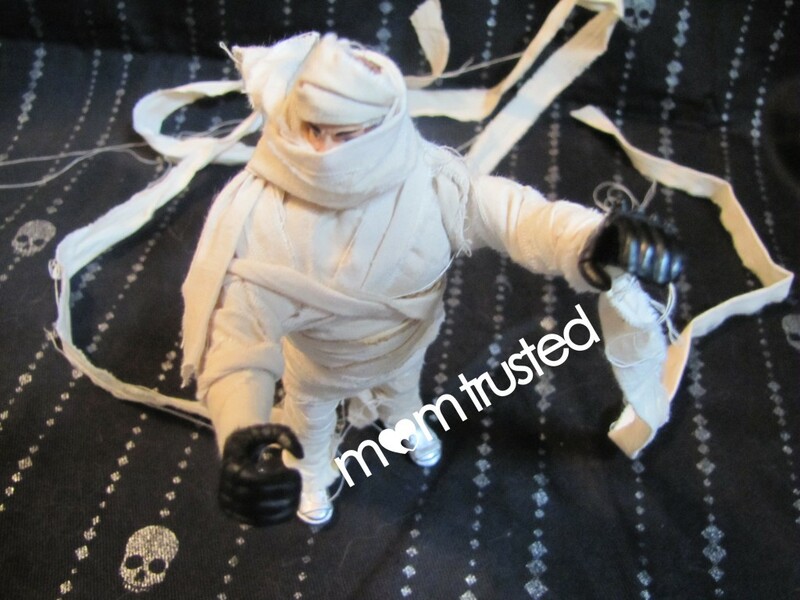 Today we turned a ordinary dollar store tough guy into a seasonally appropriate mummy! 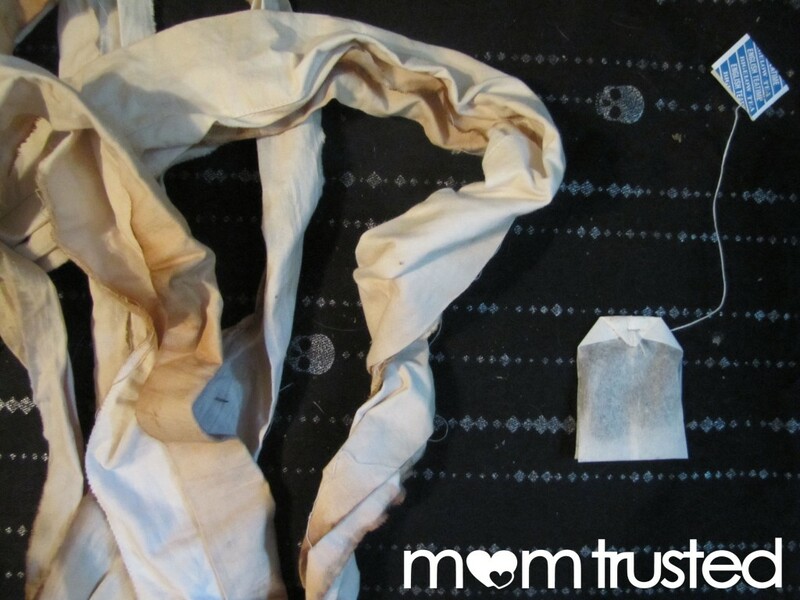 This project is fun because kids get to work with their hands preparing the fabric, and the outcome is so much cooler than a store-bought mummy! 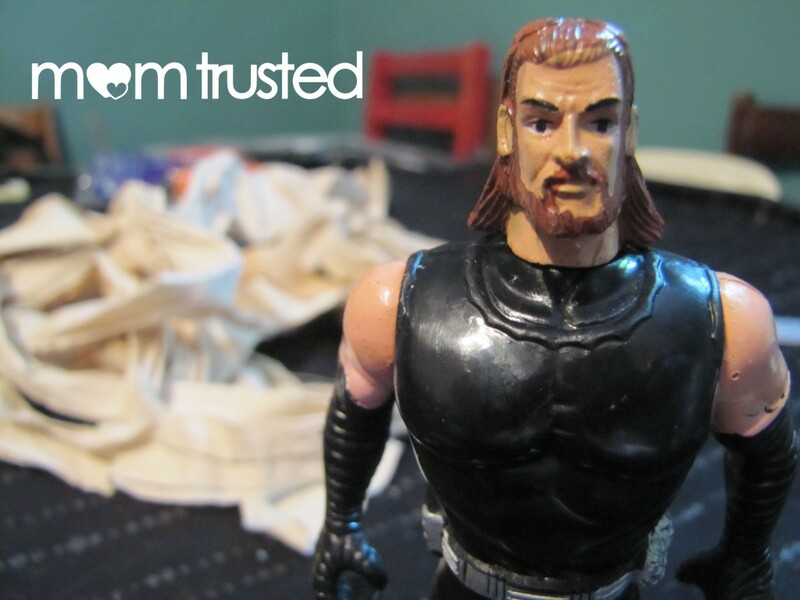 Here’s our guy before his makeover. Total yawn, right? 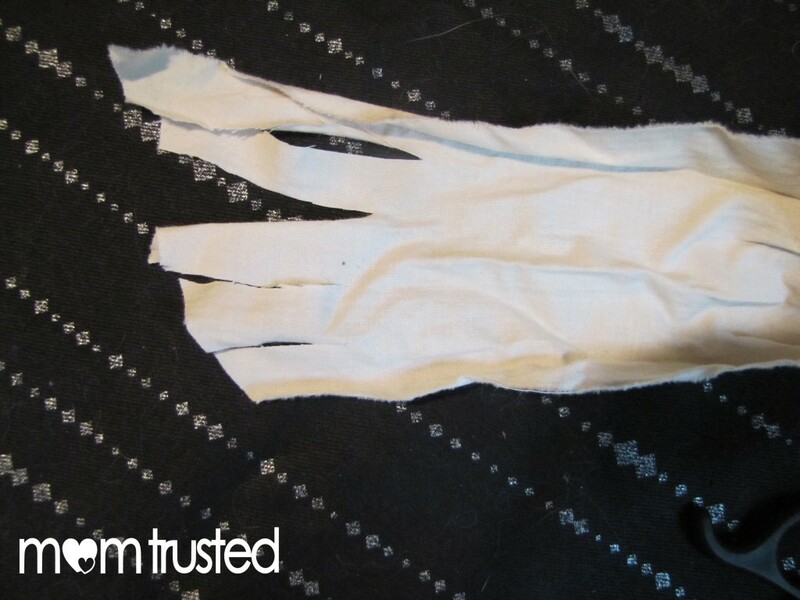 Cut your fabric at the ends and tear into strips. 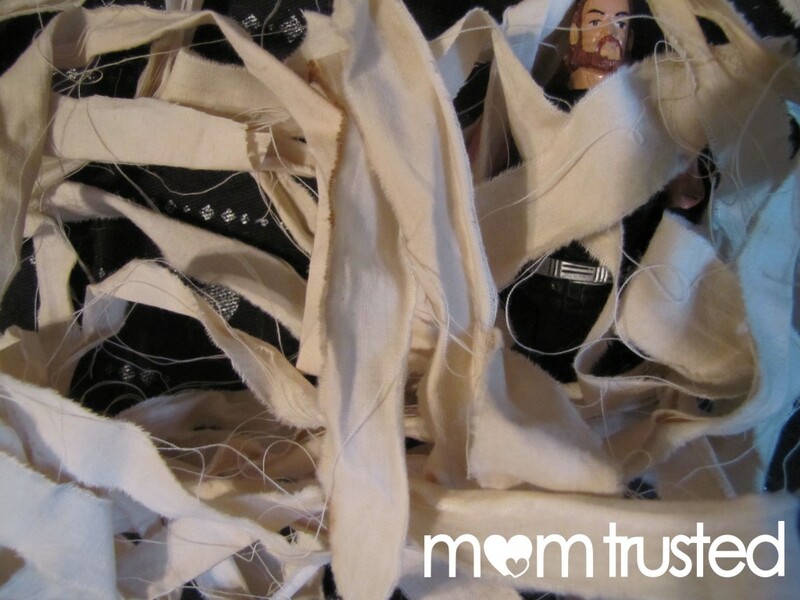 If you start a cut, your child will have fun pulling the fabric all the way to the end – it makes the most satisfying ripping noise, and will give your fabric strips a more authentic edge for mummy making. It’s also good practice for little hands making controlled movements – and there’s no wrong way to do it! Demonstrate one good rip for your kids, and let them do the rest. Begin wrapping. 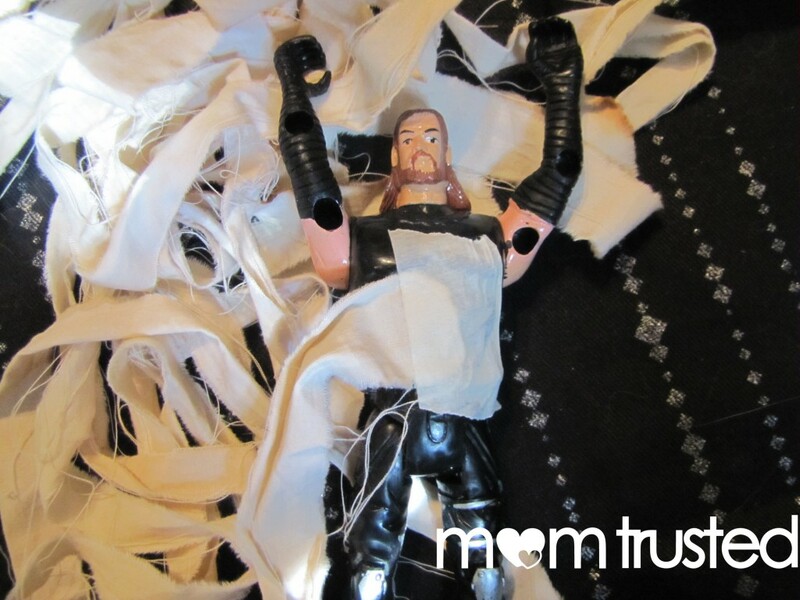 We used a small piece of masking tape to start, but if you don’t have tape on hand, you can just tie the fabric around the figure before you start wrapping. Cover your figure as much or as little as you like! This is a good opportunity for your little costume designer to make some choices about his methodology. Body first? Arms and legs first? Why? We left our mummy some eye holes, so he can still see what’s going on, but you can choose to cover him all the way up if you want! 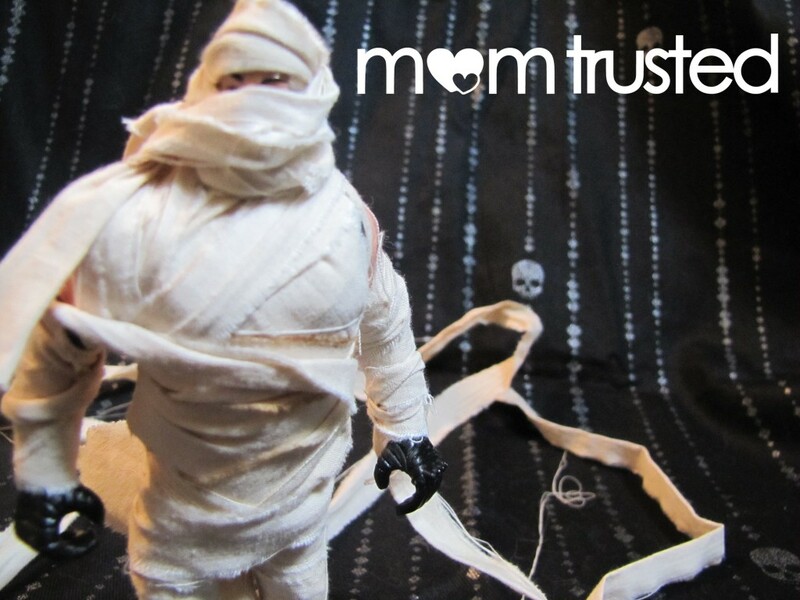 Have fun – hopefully your mummy won’t spook the rest of his gang too much!